Perfect for instruments with onboard preamps, keyboards, and CD players. Allows long cable runs and protection from phantom power. 1/4" high-impedance input and output, balanced XLR output , ground lift switch, double shielding, and heavy duty, all-steel chassis. 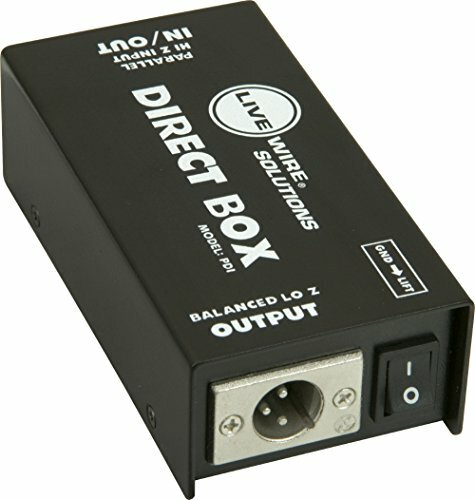 The PDI Double Shielded DI Box provides increased protection against noise and interference. Features 1/4" high impedance from instrument wired in the panel. Makes no difference which is used for input or output. 1/4" high impedance goes to your amp when input/output is used as a loop. Balanced and floating low-impedance XLR goes to your workstation or mixing console, and ignores +48V phantom power. The Lift mode severs ground connection between the input and the XLR output and ground remains connected in GND mode.